The new, more connected After Effects CC can make the impossible possible. Get powerful new features like a Live 3D Pipeline that brings CINEMA 4D scenes in as layers – without intermediate rendering. Share work directly from within the application and get access to new features the moment they’re released. Your entire creative world, together in one place. Image sequences import much faster, especially from network drives. Fast import of image sequences is controlled by a new option in Preferences > Import > Sequence Footage: Verify Individual Files. Verify Individual Files is disabled by default. When it is disabled, After Effects skips a time-consuming secondary verification of individual image sequence files during import. This includes not resolving file paths of aliases or symbolic links (symlinks); aliases and symbolic link paths are still resolved when the frame is rendered. However, if an alias or symbolic link fails to resolve (e.g., drive is offline or the file has been moved), the frame will not be reported as missing at import. If you encounter unexpected missing frames in an image sequence, enabling Verify Individual Files may avoid the problem at the cost of slower import speed. Next story Dropshare 4.1 – Secure file sharing tool. Previous story Forecaster 2.5 – Accurate, local live weather and forecasts. 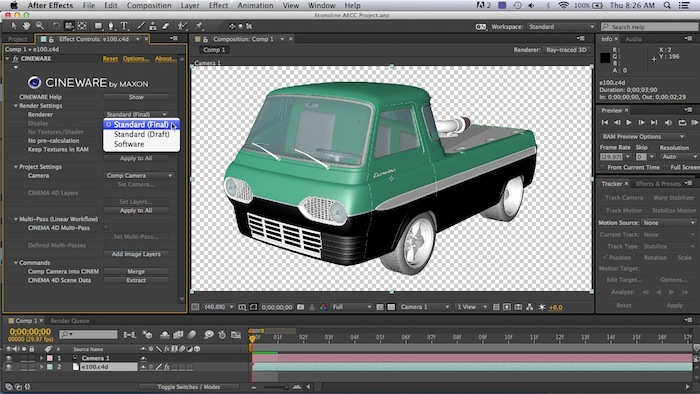 Adobe After Effects CC 2015 13.6.1 – Create professional motion graphics and visual effects.